Pelema I. Morrice, associate vice chancellor of enrollment management at the University of Nebraska-Omaha (UNO), will be Bryn Mawr College’s Chief Enrollment Officer beginning in July, announced President Kim Cassidy today. Morrice joined UNO in 2011. While there, he led a best-practice enrollment unit with an emphasis on developing key campus partnerships to enhance efforts in shaping each class. These endeavors have been fruitful, as the fall 2013 incoming undergraduate class was the most socioeconomically, racially, and ethnically diverse in UNO’s history. In addition, the university achieved gains in high-achieving new student enrollment, student retention, and net tuition revenue. In addition to his administrative role, he also served as an assistant professor of education. Morrice’s research interests are focused on educational access and outcomes of low-income and first-generation students. He studies issues of college access and equity, college admission and choice, underserved student populations, and higher education policy. 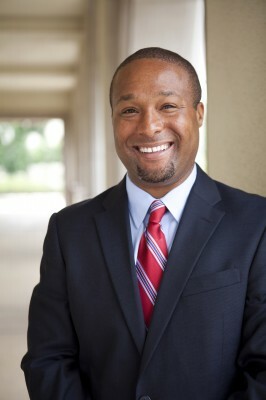 Prior to his current role at UNO, Morrice served as an assistant dean at the University of San Diego, an assistant director at California State University, and a financial aid counselor and doctoral program coordinator at Stanford University. He earned his bachelor’s in psychology and master’s in higher education from San Jose State University, and Ph.D. in higher education from the Center for the Study of Higher and Postsecondary Education at the University of Michigan. Morrice was selected following a national search. In addition to Berenson and Balthazar, the selection board included trustees, faculty, students, and staff.